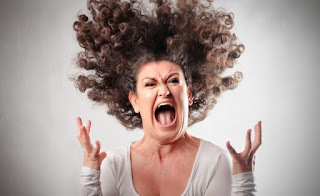 Since my beginning of professionally forecasting weather, I’ve noticed how much people “freak out” over a simple four letter word that starts with the letter “s” - snow. I’ve tried to find other ways to describe the word to try to keep people calm to no avail. Every time snow would be in the forecast there would be mass runs on bread, milk and eggs at grocery stores. Everyone knows it happens. There are always jokes about the local weatherman having side deals with grocery store to bring in more business. While it would be nice to make an extra buck, I’ve never had any such deal. In my opinion, no one should freak out over storms, but I know people will. So, in 2007 I had enough of seeing it happen. I wanted to come up with a way to convey how big of a deal the storm would be and suggest how much they “freak out”. I also wanted to have fun with it because for many - myself included - winter storms are “fun”. 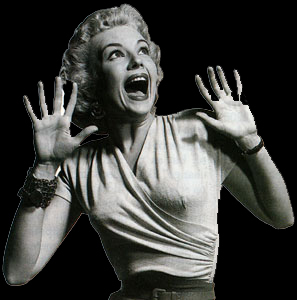 That is when I came up with the idea of the “Freak-Out-Meter”. 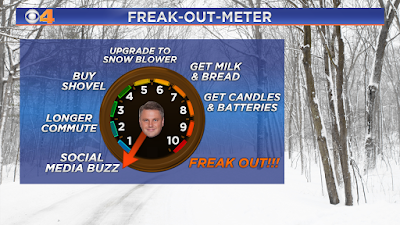 The “Freak-Out-Meter” is a number given to a location in regards to how big of deal a storm is going to be. The scale runs from 0 to 10. 0 being the lowest (non-existent). 10 being the biggest of all big storms. The “Freak-Out-Meter” is not a number indicating how much snow, ice or rain is going to fall. It actually has nothing to do with the amount of anything. It is more about how much the storm will impact the locale. Normally, the further out a weather event will happen, the lower the number because there is still much variance in what will ultimately happen. As we get closer to the event, the number gets more tuned - sometimes going higher, sometimes going lower. 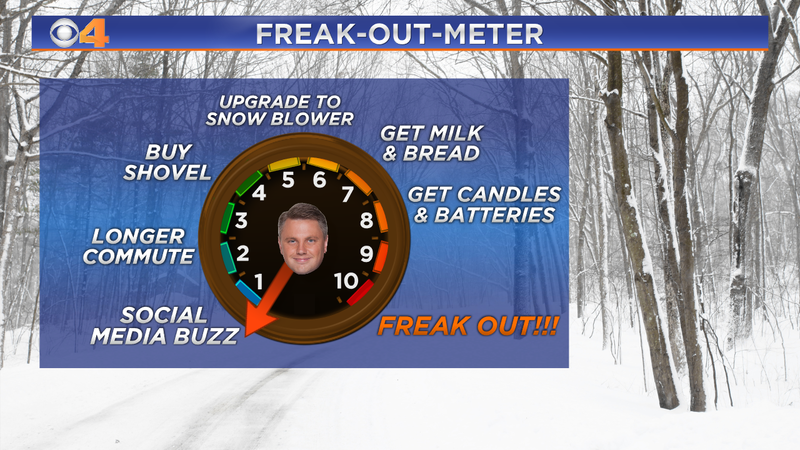 This year I have decided to make a few additions to the “Freak-Out-Meter”. Along with the assigned number, which is the most important part of the meter, I’ve added some descriptions. The descriptions are meant tongue-in-cheek to have some fun with the storm. Let me know what you think in the comment section of the blog. 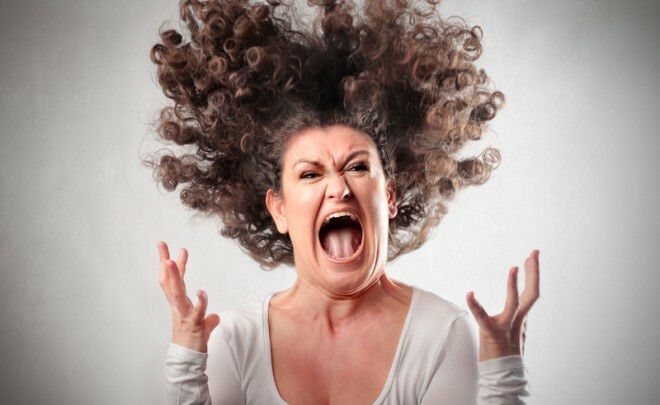 I enjoy hearing feedback about the “Freak-Out-Meter”.